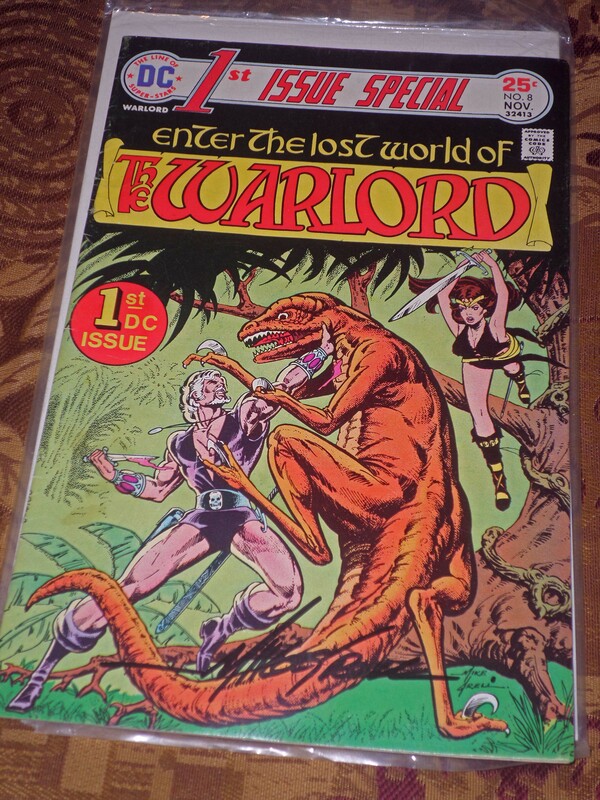 Enter the Lost World of … THE WARLORD! The one true success of DC’s Adventure Line was The Warlord. His comic lasted until issue #133 in 1988 – despite a hiatus between issue #2 (April 1976) and #3 (November 1976) of nine months. The character appeared throughout the DC universe – in Crisis, Aquaman, Green Arrow, his own revived series, and in DC’s current mega-event “Convergence”. Then again, you could argue Warlord was DC’s Adventure Line’s biggest failure! It was the last of the seven comics of the line to appear – and that was in First Issue Special. First Issue Special replaced Showcase as DC’s anthology series for new or revived series. Issues featured Metamorpho and the Creeper, the Green Team and a revival of the New Gods (the only other feature from First Issue Special to get its own magazine). Warlord as its own magazine did not appear until February of 1976 (remember the cover date is about four months ahead of the publication date – it was published around November of 1975). It only lasted two issues. Click here for Mike Grell’s explanation of the hiatus between issues #2 and 3! It did not appear on the stands again until the next summer – the month after the last issue of the only other Adventure Line alum – Claw – was published. It is likely Warlord took Claw’s place on the roster. Regardless, from May 1975 until December 1988 fans of the non-imprint enjoyed the best of high adventure! For the purists, July 1975 was the only time a fan of the Line could purchase all seven titles – it was the only month all seven titles were new on the stands (these had October and November cover dates). Warlord was Mike Grell’s baby – he wrote the series through #79 and drew the book until issue #53. Since its original run the title has been revived three times; once as a miniseries and twice as a continuing series – other than the original run the fourth series was the longest and lasted only 16 issues. Even so, these “failed” revivals lasted more issues than most of the other Adventure Line comics! I promise not to review all 133 issues, just the first ten (eleven if you count First Issue Special…)! It will give you a good taste of the series. In fact, issue #50 of The Warlord had a series synopsis of the prior issues in its letter column. As I’ve written here before, since someone has already done the work for me… Ross Andru was the editor and Karen Berger was the editorial coordinator for #50 – the actual writer of these synopses is unknown. Unless otherwise notes, all issues were written and illustrated by Mike Grell and edited by Joe Orlando. First Issue Special #8, “This Savage World”, November 1977, Travis Morgan crashes in Skartaris and rescues the princess Tara from the evil Deimos. I got Iron Mike to sign my copy (on the bottom of the page along the dinosaur’s tail…). #1. “This Savage World”, February 1976, En route to Shamballah, Travis and Tara are captured by slavers. Travis helps free Tara, but is tied and left for dead. #2. “Arena of Death”, April 1976, Escaping, Travis is captured and made a galley slave. After a sea battle he and fellow slave Machiste are made gladiators. Travis leads the gladiators in revolt when he learns that Tara has been captured by Deimos. The story does not end in a cliffhanger per se, as had the previous issue, but it had an open ending. Yet “The End” was prominently written on the final page. Did Messers. Grell and Orlando know this was the last issue? Did they know it would come back in a few months? I don’t have the issue so I cannot read the letter column to find out! I DO have the Showcase collection of its first few years, but those (unfortunately) do not contain ads or letter columns. Anybody out there have the issue? What does the letter column say? #4. “Duel of the Titans”, January 1977, Warlord’s band attack Deimos’ stronghold, but he uses the lost science of Atlantis to hold them back. Travis faces Deimos in a sword fight and kills him, freeing Tara. #5. “The Secret of Skartaris”, March 1977, Jack C Harris took over as editor. On their way to Shamballah, Travis and Tara discover some ruins where they learn that the “magic” in Skartaris is really lost Atlantean science. An old Atlantean tramway accidentally returns him to the surface world. #6. “Home is a Four-Letter Word”, May 1977, In Peru, Travis meets Mariah Romanov and an international party of archeologists. After helping them defeat a demon, he and Mariah return to Skartaris, pursued by a CIA man who believes Travis a traitor. #7. “The Iron Devil”, July 1977, Warlord and Mariah meet Machiste again and Travis is forced to sever his friend’s hand, freeing him from a cursed battleaxe. #8. “The City in the Sky”, September 1977, Denny O’Neil takes over as editor. Our trio encounter and defeat a man-eating cyborg on a floating city manned by robots. #9. “Lair of the Snowbeast”, November 1977, Lost in the snowy wastes, Warlord rescues Marian and Machiste from a warrior tribe with the aid of a mysterious snow beast. #10. “Tower of Fear”, January 1978, Larry Hama takes over as editor. Our trio rescues Ashiya, and then aids her in obtaining a mysterious Mask of Life with which she later secretly revives the slain Deimos. The art and stories were excellent throughout. Criticisms that it contains warmed-over tropes of a Hollow Earth and a Land That Time Forgot miss the point. Grell’s sheer joy in the stories and characters shine through. He shows a fully-realized fantasy realm here – something missing in, say, the last issues of Kong the Untamed. It was a thorough tale of a realized world that unfolded slowly like a novel. It was wonderfully done. And his women were gorgeous! and (mordant bleu) even in cosplay! 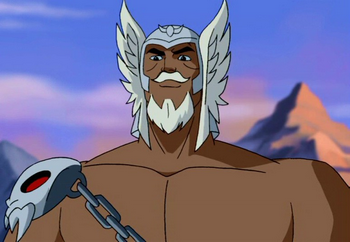 The comic previewed two other successful sword and sorcery DC comics: Arak Son of Thunder and Arion Lord of Atlantis. 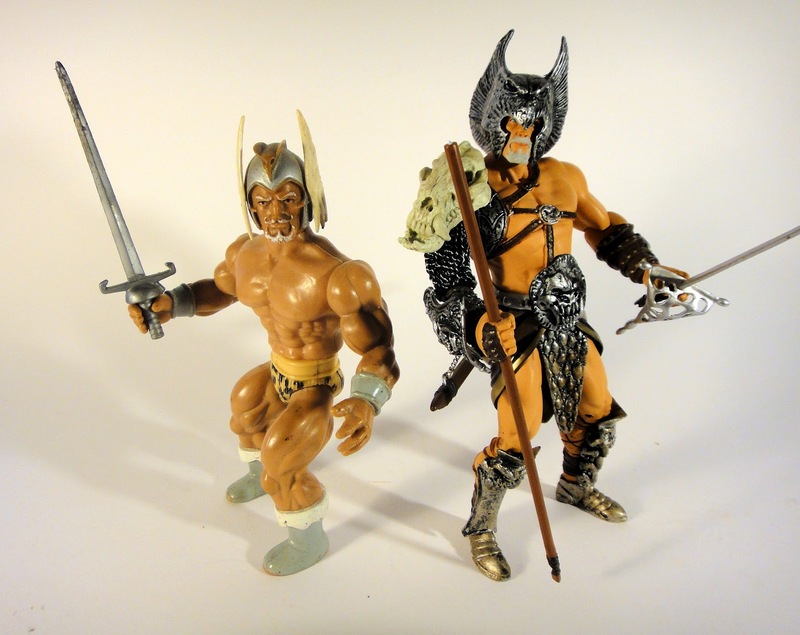 Two other back-up features – Adventure Line alum Claw (which concluded the story line of his cancelled series) and Dragonsword – were wonderful additions. 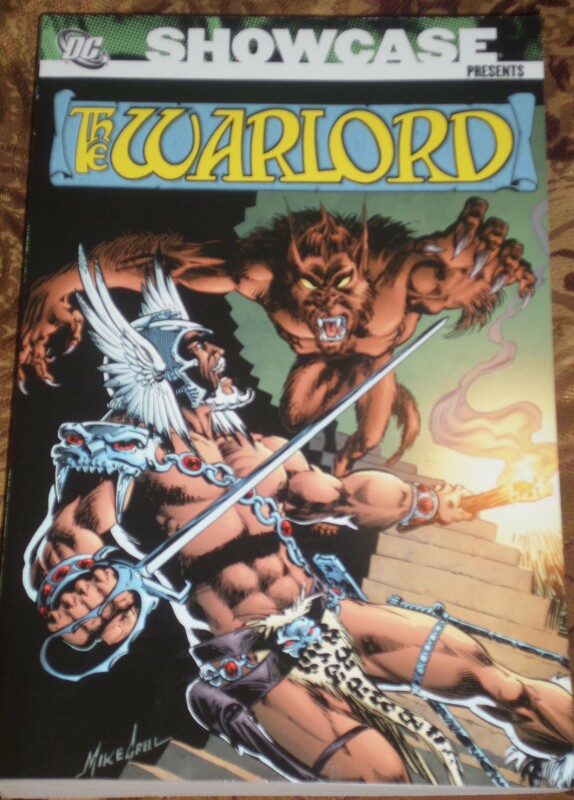 Warlord was DC’s most successful sword-and-sorcery comic during its run, so it served as the touchstone and host for DC’s other attempts at the genre. One huge success out of seven comics. Not very good for a line of comics. But this “line” or (imprint as we’d call it nowadays) only existed in one full-page house advertisement, and every issue was great fun. And most of them have aged well – there were no real stinkers in the batch. I loved reading them then, I love reading them now. I enjoy the comics and they entertain me. I finish each issue with a smile. That’s pretty rare for a comic nowadays. Thanks for joining me in this look at some of DC’s more obscure run of comics!